"follow edge" from the dialog box. I want to script the last part so I only have to pick the surface edges and curves. Rhino V2 I'm trying to find a tool that would batch modify iges or stl files, the idea is to delete one surface and add other. I know i can do it with points, by doing a translator that reads a text file and replace the coordinates, but that is not ideal since I need to convert my files to points and then back to stl. Does any one know any tool that would that, or maybe point me to where I could get info on how to read the ascii code for iges? There is nothing magic in this DLL. 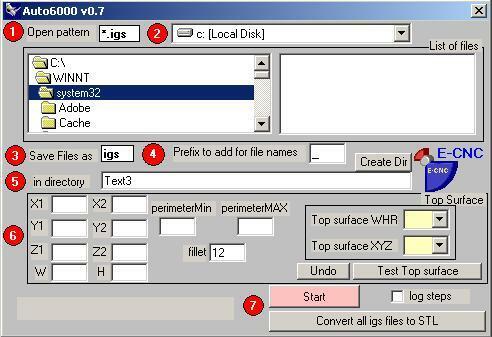 It will just grab the volume number from the Rhino's command window so we can use it later trough/for the VB scripting. 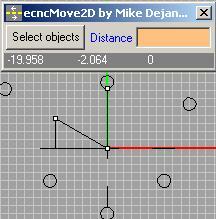 So far ecncMove2D works with a curve object(s) only! Perhaps, an interesting thing, ecncMove2D has been completely written in VB! You may say, so what! Well, I had fun to get Rhino's x, y, z coordinates and user clicks :-) as we know, user clicks were accessible only trough the Rhino's SDK and C++. As of March, 03 SDK does not support panels of the Rhino's status bar (x, y, z and distance values). How to use ecncMove2D? Set an alias or make a new button: i.e. 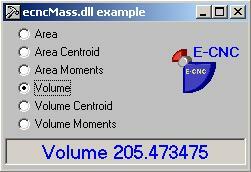 ws !-Run "C:\ecncmove2d.exe" (or "C:\ecncmove2d.exe Vi" to make it visible) of course with a corresponding path on your computer and follow Rhino's command prompt.